Sew Much To Say: Whoops! Look what I got today! Alec and I were talking about how badly I wanted a cupcake decoration for my car to make it feel more like mine on the way to Walmart last week. During that very trip to Walmart, we found these! I didn't want to waste my money on something that I didn't need so I didn't get it. I couldn't stop thinking about how much I wanted this key and key chain though. So, today I went and got one of each! Whoops! for spending money unnecessarily. I'm so in love with them! 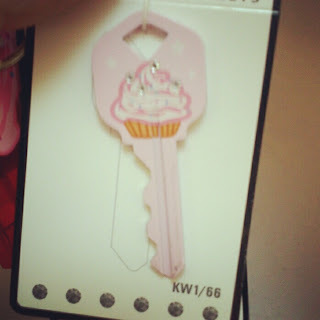 And guess what this special pink cupcake key is for--the store! I can't wait to open this weekend. On a less positive note, my dress for the wedding was supposed to come today. I am a bride's maid in my cousin's wedding this summer and ordered this dress from David's Bridal over a month ago. I went in and tried it on just like I was supposed to. Then, I find out that they ordered the wrong dress. So, I have to spend all this time calling people and trying to fix it. In return, they go and order it wrong again! I was expecting to go try on this dress that I have never even seen in hopes that it fits. Turns out David's Bridal sent it to Florida....I LIVE IN NEW YORK! Whoops! *rolls eyes* Needless to say I sent them a very strongly worded email. I have been sewing my little heart out, though. I made a cute bag this morning and have been working on little things that other people need me to sew for them. Please fill out my little survey on the left side of the page. I've never posted one before but, I figured it would be fun to try. If I get some good feedback I'll do them more often. 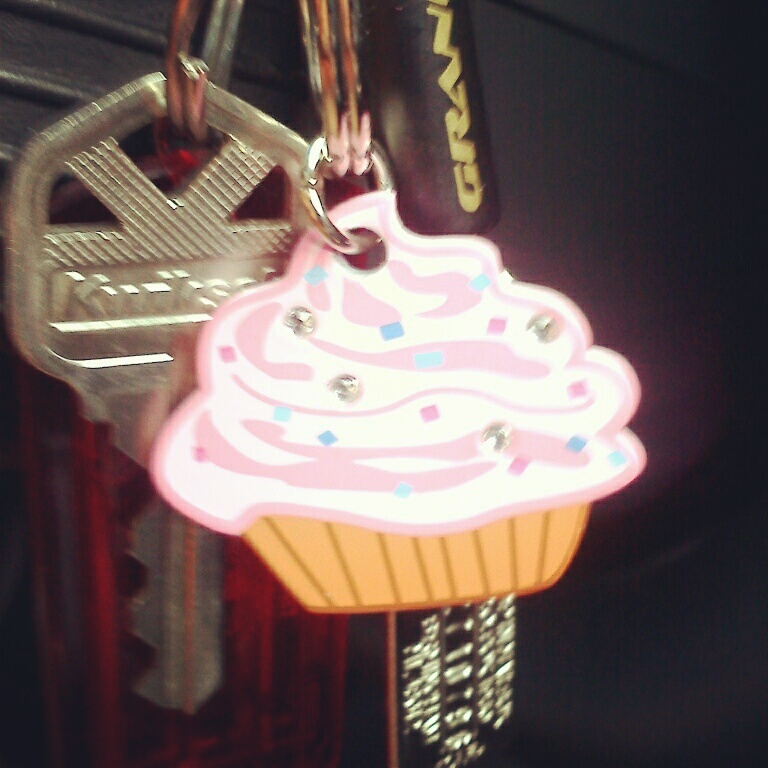 That cupcake key is adorable. Frustrating about the dress! I finally fixed it! I hope you get this reply, too.